We all have seen the gorgeous Hazel Keech in Salman’s 2011 movie Bodyguard, playing the role of the best friend of another stunning actress, Kareena Kapoor. But we bet you weren’t aware of her role in the first three Harry Potter movies. Yes! 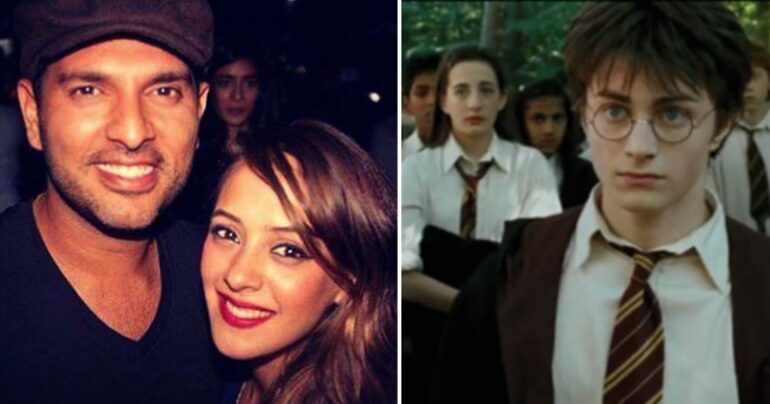 Hazel herself revealed in an interview on Miss Field show that long before she made her debut in Bollywood, she was a part of the legendary Harry Potter movies. She played the role of a student at Hogwarts School of Witchcraft and Wizardry in the Harry Potter series. Sharing her experience, she said that film making is considered a very serious aspect in the west and attention was paid to every detail in the movie. She further added that a Polaroid of every child was taken beforehand to match the hair and makeup for the next session. Also, the capes worn by the kids had inner pockets for their wand and broom. She has acted alongside lead cast Daniel Radcliffe (Harry Potter), Emma Watson (Hermoine) and Rupert Grint (Ron)in the first three movies of the Harry Potter franchise viz., Harry Potter and the Philosopher’s Stone, Harry Potter and the Chamber of Secrets and finally Harry Potter and The Prisoner of Azkaban. She also shared that it was the best experience of her professional career and said everyone, including her, loved being a part of this remarkable project. Hazel was a British−Mauritian model before she married one of our outstanding Indian cricketer Yuvraj Singh. They both dated a few years before finally settling down in 2016. She had appeared in season 7 of popular Indian TV show Bigg Boss in 2013.